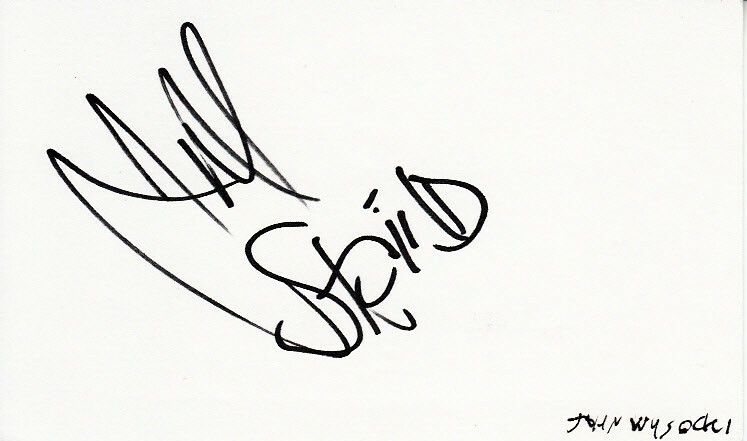 3x5 index card autographed in black marker by former Staind drummer John Wysocki and he added Staind to his signature. 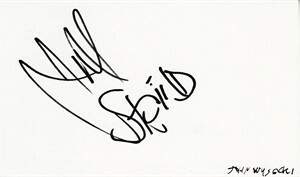 Obtained at celebrity golf tournament many years ago, with certificate of authenticity from AutographsForSale.com. ONLY ONE AVAILABLE FOR SALE.